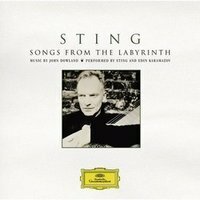 Which choir supported Sting at the LSO St Lukes concert released on "The Journey & The Labyrinth" DVD? Remember, we'll be announcing details on the GRAND PRIZE in the coming days, so be sure to visit Sting.com at 11AM/EST daily! This contest has now closed. The winner was Yuki Bando who correctly answered Stile Antico. just wonder why this CD/DVD is not listed in stings discog on sting.com?? This is by far the work of Sting that impressed me most. Even though he is not the original author of these beautiful songs, Sting conveyed his personal sensibility and touch in a way that made John Dowland's work one of his own. Listening to it always is a pure delight of the heart and mind. Looking at Sting in the flesh, it's nearly impossible to believe he turns 60 a week today. Lean, muscular, tanned and looking ridiculously fit, he has just returned from a bike ride around his adopted home of New York City. Years of clean living and yoga have left him with the body and energy levels of a man half his age. Perhaps unsurprisingly, the former Police front man is also struggling with the fact he is about to enter his seventh decade. "I can't quite believe it," he muses from his apartment balcony overlooking Central Park. "It doesn't quite compute for me being 60. I still feel like I am 14. I think I have maintained my curiosity about the world and my sense of wonder at it. If that is what feeling young is about then I feel young. I am not jaundiced by the world - I still find it fascinating..."